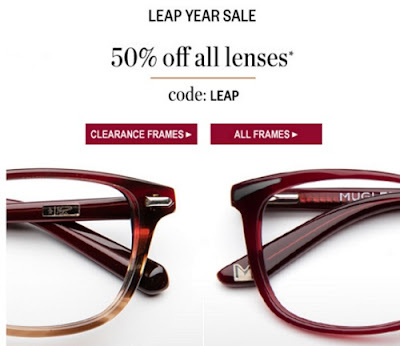 Clearly is offering 50% off all lenses during their Leap Year Sale! Enter the promo code LEAP at checkout. Offer is valid for a limited time. Click here to shop Clearly Canada.